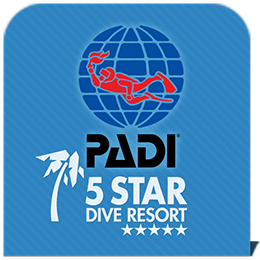 PADI 5 Star Dive Center located in Amed and Tulamben. The best dive sites in Bali and beyond. Right at our doorstep. Bali Reef Divers is a PADI 5 star dive center located in Amed and Tulamben with the best dive sites in Bali right at our doorstep. We offer daily dive trips to both known and unknown dive sites in East Bali and beyond. You can choose out of a range of PADI courses from beginner level upto Divemaster. Specialties are on offer as well. Qualified, experienced intstructors teach in English, French, Dutch, or Indonesian. Your safety and enjoyment is our top priority. Puri Wirata Dive Resort Amed offers quality accommodation without emptying your wallet. This resort is the perfect place to relax after a day enjoying the beautiful underwater world. Our dive center in Tulamben offers cheaper accommodation. Shared dorm and private rooms are available. Daily dive trips around Amed & Tulamben. Take your pick from the dive sites we visit! Bali Reef Divers offers the full range of dive courses up to Divemaster Level. Feeling adventurous? Let's go hiking or rafting! Amazing package deals on dive trips, PADI Courses and Accommodation. Staying in South or Central Bali? Dive Amed/Tulamben on a day trip! Looking for budget accommodation? Dorm rooms from 75.000 IDR/pp!